Panathinaikos has as many as six new faces, at least one at every position. Two-time Alphonso Ford Top Scorer Trophy winner Keith Langford and combo guard Vaggelis Sakellariou are the Greens' main backcourt additions. They also brought versatility to the forward position with Ioannis Papapetrou and DeShaun Thomas. And they got bigger and more experienced at center by bringing back two of their former players, Georgios Papagiannis and Stephane Lasme, who once won the Best Defender Award. At the same time, Panathinaikos kept an interesting core of players led by superstar guard Nick Calathes and veteran forward James Gist, giving head coach Xavi Pascual plenty of options to choose from. Calathes is Panathinaikos's leader and floor general, a big, pass-first guard who comes off a career-best season in which he led the EuroLeague in assists (8.0 apg) and steals (1.7 spg.). Calathes has a very high basketball IQ and thinks team first always. Panathinaikos made sure he has good scorers around to help him do even better. Langford will have a different role than in previous teams, but in any case, he is instant offense, a seasoned player able to create his own shot with unlimited range and great determination. Nikos Pappas is similarly unstoppable when he is on fire, able to attack the basket and deadly from beyond the arc. Lukas Lekavicius is a lightning-quick playmaker who thrives in transition due to his speed and ability to make quick decisions. Sakellariou is also a good scorer who can help at both guard spots, and Georgios Kalaitzakis, age 19, will keep work to gain valuable experience from this teammates. Papapetrou, an athletic small forward with powerful driving skills, can pull the trigger from downtown, plays with a lot of heart on defense, and might prove to be the team's x-factor. He will split minutes with his ex-teammate from archrival Olympiacos Piraeus, Matt Lojeski, an experienced shooter who can create his own shot, especially in transition. Thomas can help his fifth EuroLeague team in as many seasons in a few ways, whether drawing out defenses with his smooth shooting, driving or posting up. Thanasis Antetokounmpo, a force of nature full of power and intensity, will be called on for his defense and extraordinary athleticism. In his sixth season with Panathinaikos, Gist will keep thrilling fans with his high-flying blocks and dunks. A good shooter, Gist is more athletic and faster than most power forwards. 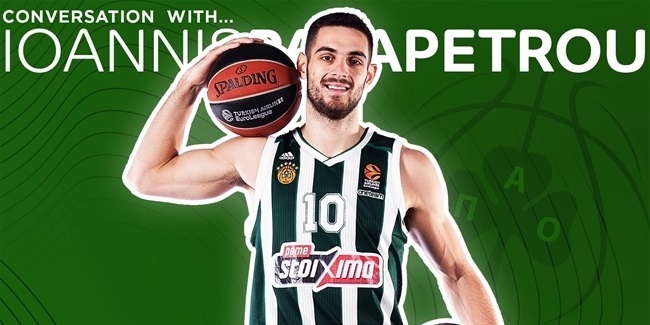 Lasme, who broke the EuroCup record for total blocks last season, returns to Panathinaikos ready to make the difference on defense, even when he has developed a very effective mid-range jumper to complement his good post skills. Ian Vougioukas is an old-school, back-to-the-basket center, very coachable and with great experience, including a EuroLeague title with the Greens. The 2.20-meter Papagiannis rounds out a very deep frontcourt by adding size and power to the mix, not to mention good shooting touch in the paint. After being chosen to the All-EuroLeague First Team for the first time in his career, Calathes is now on a mission to bring Panathinaikos back to the Final Four. Calathes broke a EuroLeague record by getting 11 point-assist double-doubles. He dished 16 assists against Real Madrid to break the single-game playoffs record, too. Few players in the EuroLeague, if any, can dominate the game tempo as Calathes does, so well does he read the game both in transition and in five-on-five situations. Calathes is a career 54.8% free throw shooter and has hit just 28.6% shots from downtown. If he is able to improve those numbers, Calathes has all the tools -- talent, experience, all-around skills -- to dominate the EuroLeague. Panathinaikos made it to the playoffs with the home-court advantage in each of the last two seasons but lost against the eventual champions -- Fenerbahce Istanbul in 2017 and Real Madrid in 2018. The club has invested in experienced players again to be ready for that crucial moment of the season. 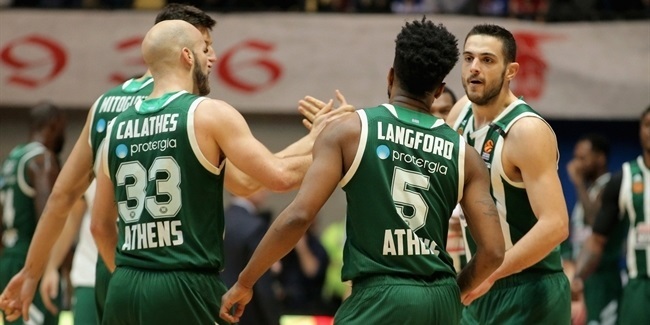 In order to reach the playoffs in the best condition, Panathinaikos needs to be consistent throughout the season, rely on Calathes and Langford to make the difference in crunch time, and make sure that its deep, strong frontcourt dominates under the baskets. Panathinaikos must do what it did in the last two regular seasons and be ready for another playoffs fight, using its previous experience to be more focused and motivated than its potential opponent.